Rubber Stamps Port Co. Handmade Manufacture – A blog that has information about our handmade manufacture of custom rubber stamps; address stamps, pullman & comet band stamps, date stamps, date stamps, stamp pads and specialty ink. 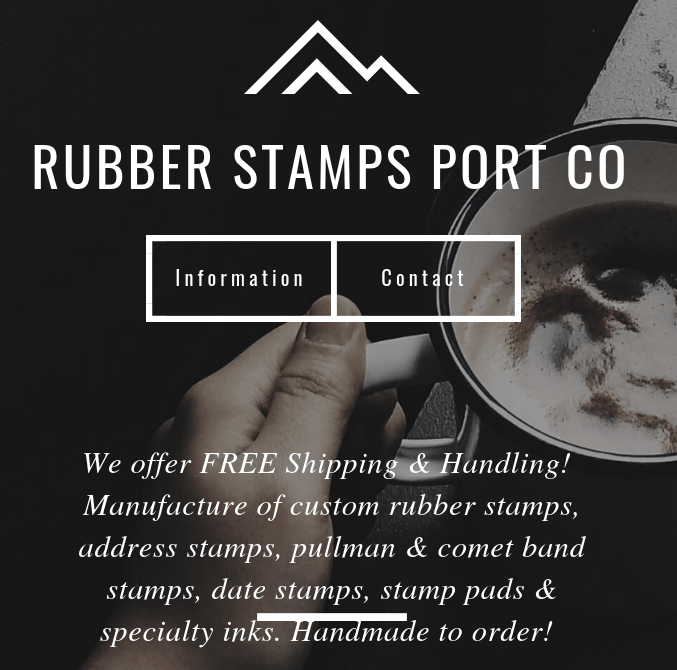 A blog that has information about our handmade manufacture of custom rubber stamps; address stamps, pullman & comet band stamps, date stamps, date stamps, stamp pads and specialty ink. Rubber Stamps Port Co Handmade Manufacture of custom orders. Handmade manufacture of art-stamps, address stamps, comet & pullman, stamp pads and specialty ink. Rubber Stamps Port Co offers wholesale custom rubber stamps, stamp pads and inks.